Don't let moisture in your compressed air affect the quality of your cutting. 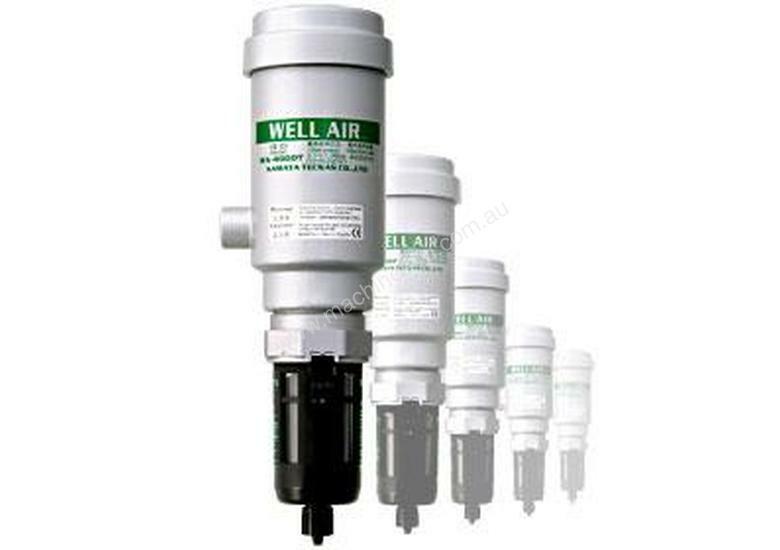 We have many happy customers Australia wide, and we guarantee clean dry air and no maintenance required. FIT and FORGET, no running costs, no maintenance to remember to do, no filters to replace, no draining to do and no need to inspect. 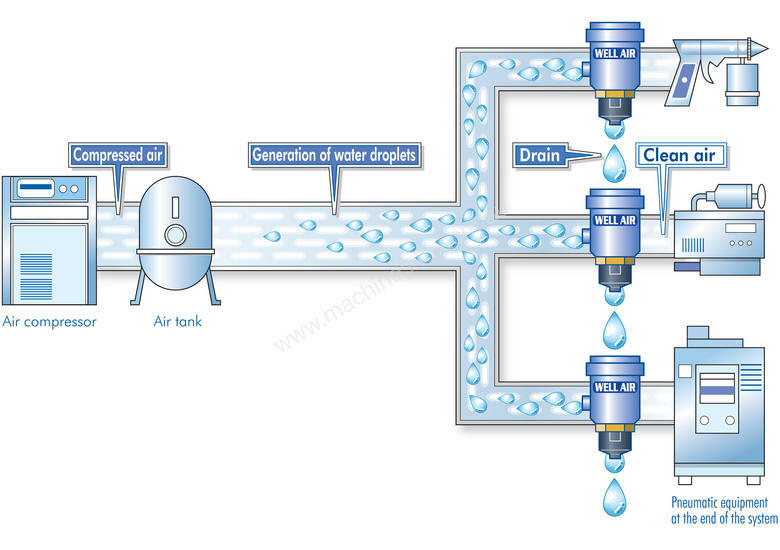 All compressed air systems are subject to moisture forming in the supply lines! 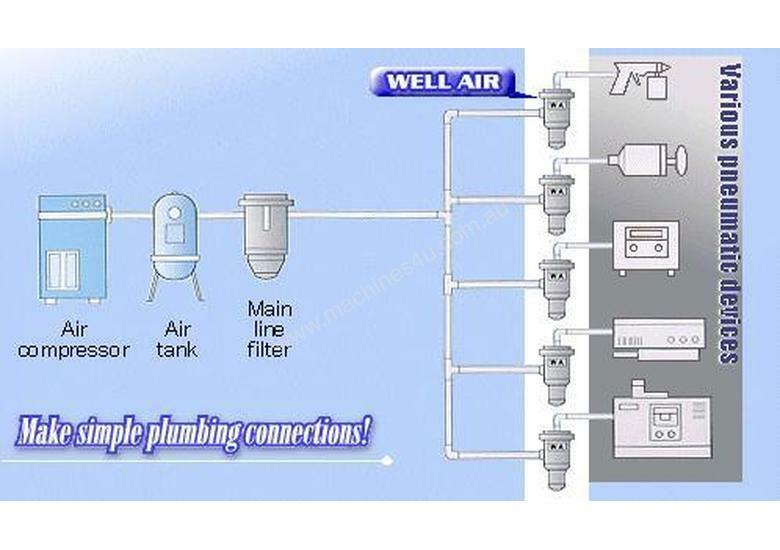 Either by the air cooling after compression, or by naturally occurring condensation due to differences in the temperature inside and outside of the pipes. Most machinery needs the supply of compressed air to be clean and dry, however, manufacturers usually only fit an air filter regulator to their machines. This is not a moisture remover, even though some moisture will collect in the bowl, much more is entering your machine, and probably causing poor cutting performance at times and unexplained reliability issues arising. 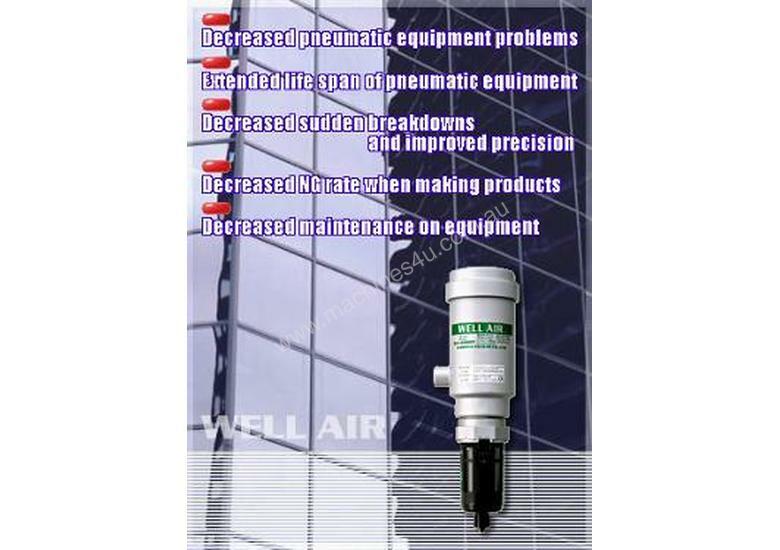 The Patented WELLAIR compressed air and moisture separator, is a low cost 100% reliable way to keep the compressed air being used by your Plasma Machine clean and dry. 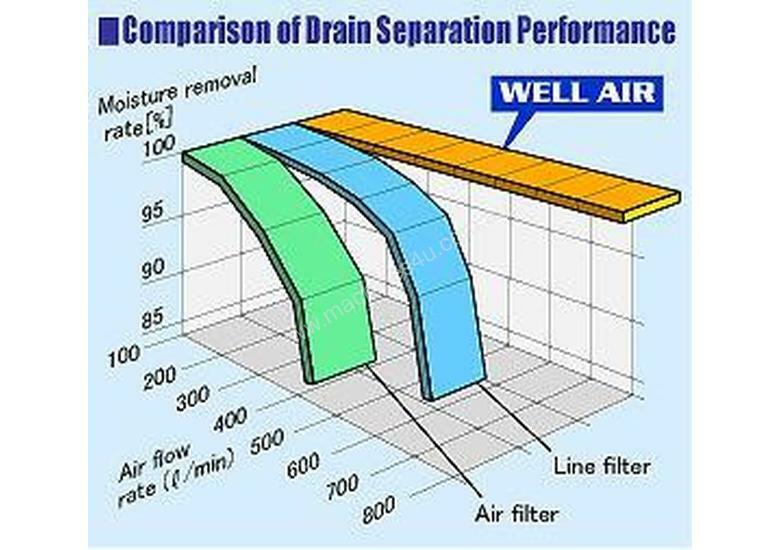 Unlike Line Filters and other types of filtering systems, the WELLAIR 's performance remains constant regardless of the flow rate change, and best of all it requires no maintenance, and will not deteriorate over time. 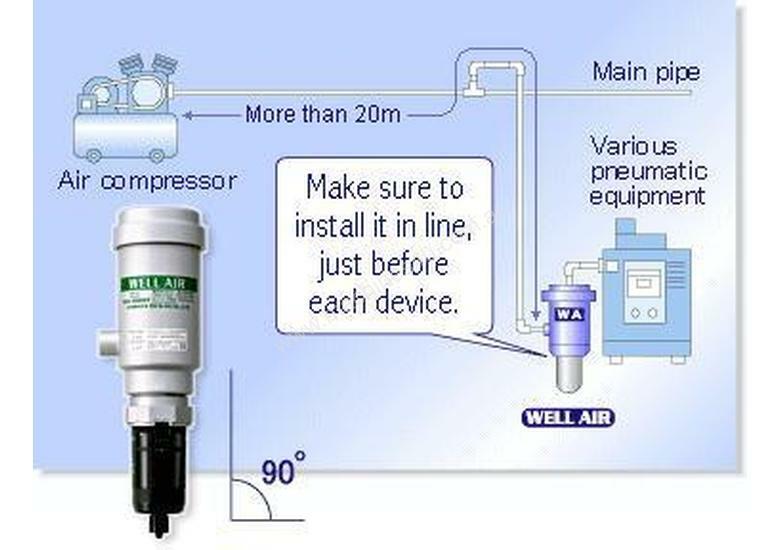 Forget about remembering to drain off the air tank each day, WellAir will protect your plasma from moisture in your airline all day and everyday.